From getting a clean glass of water from your tap in the morning to cleaning up after a family dinner, your kitchen plumbing system gets its fair share of use throughout the day. Therefore, you want to make sure that this system is designed and installed correctly, and that you have any necessary repair or maintenance services done as quickly and routinely as possible, by a professionally trained master plumber. You can accomplish this by scheduling your kitchen plumbing services with the experts at ClearWater Plumbers. No matter what you are in need of to ensure that your kitchen plumbing gives you the best performance possible, our professional master plumbers are here to get the job done effectively and efficiency. Contact us today to schedule service with technicians you can trust. Do what you otter… call ClearWater! From the kitchen garbage disposal to your dishwasher, each aspect of your kitchen plumbing system plays an essential role in its overall operation. Whether it’s the drain that whisks wastewater away from your kitchen or your sink faucets, you need each and every part of your kitchen plumbing system to be installed by a trained professional to ensure proper functionality. We understand how important a well installed kitchen plumbing system is to your Fort Worth, TX home, no matter if it’s being newly constructed or if it’s an older home needing plumbing updates. Perhaps you are unhappy with certain aspects of your current kitchen plumbing system. Or maybe you inherited really unattractive looking fixtures when you purchased your home. Hopefully none of your components suffered from some sort of catastrophic failure, however that does happen too. Whatever your reason is for considering a kitchen plumbing installation or replacement, our master plumbers are standing by ready to assist. Is Your Kitchen Sink Working Properly? It’s important to remember that even when properly installed, there is always a chance that you may encounter issues with your kitchen sink, and need sink plumbing repairs or even replacement. The best way to deal with such an issue is by ensuring that you schedule any necessary sink plumbing repairs as quickly as possible with high trained professionals. Doing so without delay will make it less likely that your system will suffer any serious damage. If you notice any indications of a problem with your sink plumbing—water leaks, backed–up drains, leaky faucets, dried out drain traps—it should be addressed right way. This can help prevent any unnecessary hassles! One of the most common service calls we get in relation to kitchen sink plumbing is in regards to kitchen garbage disposals. Your sink disposal unit is a handy component of your kitchen plumbing, but not an invulnerable one. Certain foods and items that you put down your drain can threaten its functionality and its lifespan. For example, putting liquid fats, oils, or grease (FOG) down the drain can create clogs as it cools. Things like potato skins and coffee grounds can jam up your sink disposal unit as well. 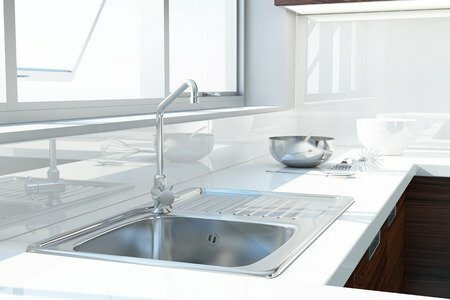 Don’t risk the functionality of your kitchen over disposal products being put down your kitchen sink drain. However, if something does occur, you can trust in the professionals we have on staff. 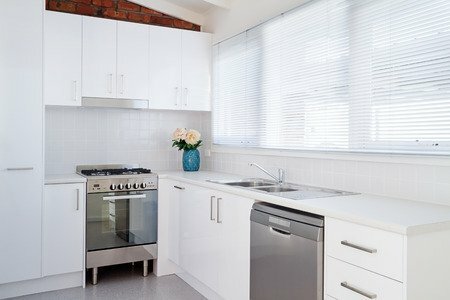 We use the best products and the most up–to–date methods to conduct repairs and maintenance for your kitchen plumbing, in addition to superb installation and replacement services.